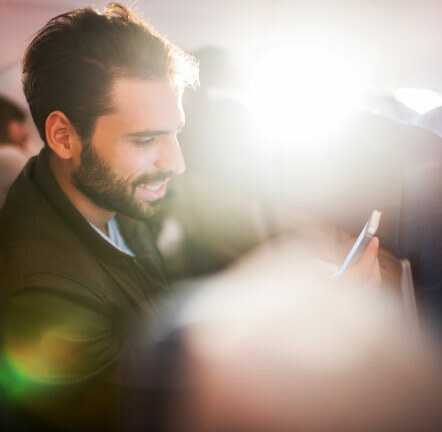 We simplify monetization, increase revenue and improve your brand image – while upgrading passengers to superior in-flight connectivity. Passengers can get online with just one click on our app! And with Hotspot 2.0 enabled, logging on becomes completely seamless! Our system gives you conclusive customer insights through state-of-the-art reporting and survey tools. Learn what your clients really want. EAN, the integrated satellite and ground-based LTE network, provides a “like-at-home” internet experience for passengers in Europe. At Deutsche Telekom, we focus on our customers. Our technology and service innovations provide the best customer experience – anywhere, anytime, even in the sky! With our ISP offering, we help you connect your passengers and engage customer loyalty – by promising innovation, the best technology, and the most satisfying internet experience. Airline fleet size is expected to double by 2035, with strong and resilient passenger growth of about 4.5%, and approximately 42.7 million in-flight users by 2020. That’s why we strongly believe there is increasing need for in-flight connectivity. At the same time, more than 60% of airline passengers feel that being online while flying is a necessity, not a luxury. We help airlines cater to this passenger requirement! Deutsche Telekom (DT) has years of experience as one of the only telcos providing in-flight internet service, which is why we recently helped reinvent Wi-Fi in the skies across Europe. Take advantage of DT’s experience and state-of-the-art solutions that are crucial to quick and sustainable growth. We continually innovate to create future-proof features that enable optimized services to simplify and drive monetization. As the world’s first integrated satellite and complementary LTE-based ground network, the European Aviation Network provides ground-breaking in-flight connectivity across Europe. At Deutsche Telekom, we have proven our ability to build the best ground-based LTE networks. Now, we’ve also done it for the sky, thanks to pioneering work with our partners! Deutsche Telekom’s in-flight connectivity solution provides the best customer experience while focusing on your airline’s requirements. With us, you have access to the industry’s largest partner ecosystem, support with streamlining processes, and the insight to learn what passengers really want. All that enables revenue growth along every step of your client’s journey – pre-flight, in-flight and post-flight. You can count on our expertise as one of the only telco providers offering Wi-Fi in the air. Get in touch with your passengers before they even board the plane, by allowing them to buy connectivity in advance. Our voucher system can be easily integrated into your booking process, or you can use our turnkey API. Boost passenger comfort with exceptional in-flight connectivity and a quick log-on process. On even the shortest flights, our solution will be your must-have offering – a great way to boost take rates and revenue. With our post-flight solutions, you gain insights into customer needs and drive revenue by linking surveys to incentives. With conclusive information, decisive plans can be made that pave the way to a more profitable future. Join us at the Aircraft Interiors Expo (AIX) this week! Discover our latest solutions that help the aviation industry increase passenger loyalty. The Inflight year 2018 - it is a wrap! An exciting year 2018 is (almost) behind the Inflight team. We are looking back at the 12 greatest highlight of this year for Inflight. As of today, our service is available around the globe, operating on more than 500 aircrafts divided across 13 international airlines. As a leading ISP, we understand the multiple building blocks that need to be in place to ensure success. 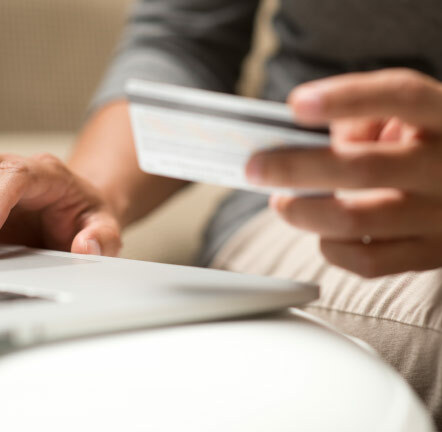 There are a few obvious ones such as reaching customer touch points, personalizing the customer experience, having a large partner ecosystem, and ensuring competitive pricing. However, there are a myriad of hidden contributing factors. To name a few: customer data management, legal compliance, continuous feature development, tax logic, accounting and reporting. In addition to our pre-flight, in-flight and post-flight solutions, we provide service excellence with a dedicated in-flight team. 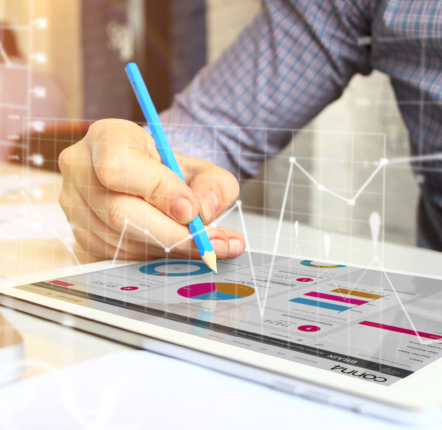 By offering platform scalability, we help optimize costs while driving revenue through easy log-on and our huge customer base. The European Aviation Network (EAN) is the world’s first integrated satellite and LTE-based ground network that brings unprecedented passenger connectivity to Europe’s aviation industry. The new, innovative network from Inmarsat and Deutsche Telekom provides travellers in Europe with the advantage of in-flight, high-speed internet access. At the same time, airlines benefit from a cost-efficient, scalable connectivity solution that caters to the desires of their passengers.